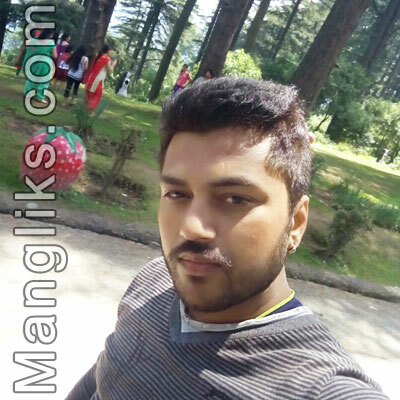 Originally from Himachal, I have been living in Chandigarh for over ** years with my parents. I am *. *” feet tall and moderately built. My job as a Shift Engineer in MNC has made me a patient man and improved my negotiation skills! My job also keeps me on my toes as I am always trying to learn new skills to keep pace with the changing technology landscape. I especially value humor, being able to laugh at yourself, being able to communicate, culture in general, social issues, staying healthy. My family consists of my mother,father and me. Beginning with my mother, She is like any other mom. Loving,caring and concerned yet when she is angry you will definitely know. She loves to cook and is extremely innovative even in that aspect. She is the anchor of our house & is definitely the driving force for our family. My father is retired Engineer (SDO) and cornerstone of our family. He is rigid yet flexible. He is responsible for all the discipline in our house, my inspiration, my dad.